Do you have a question about an ethical or philosophical issue in sport? 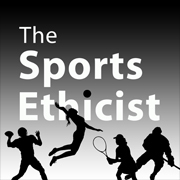 Ask The Sports Ethicist! In this regular feature of The Sports Ethicist blog, I will post and respond to readers’ questions. Each answer will explain the different takes on the issue from standard viewpoints in the philosophy literature, as well as more common-sense approaches (when appropriate). Lastly, I will weigh in with my own take. For more on submitting questions, click here.